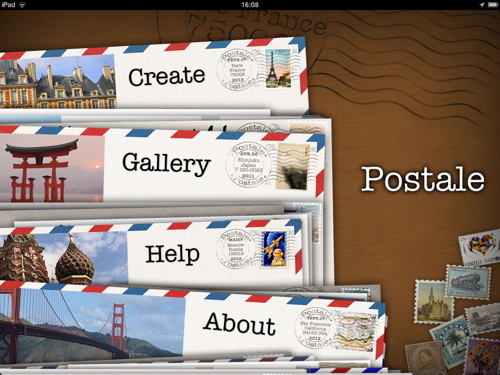 You can now send a REAL postcard right from Postale. 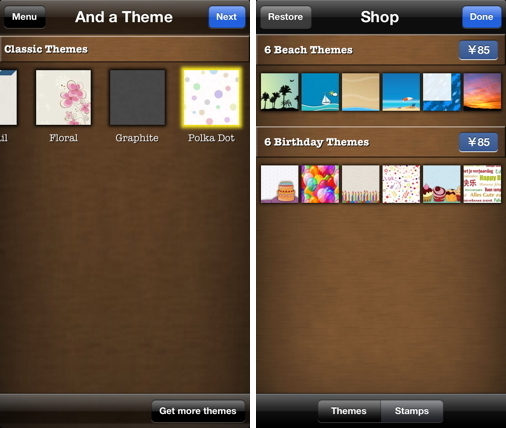 Just choose the "Print & Ship" layout. 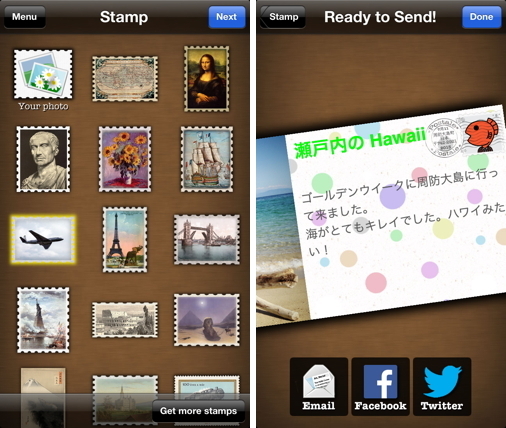 Send a beautiful 4×6 postcard anyone in the United States for just $1.99 or to anyone in the world for just $2.99. 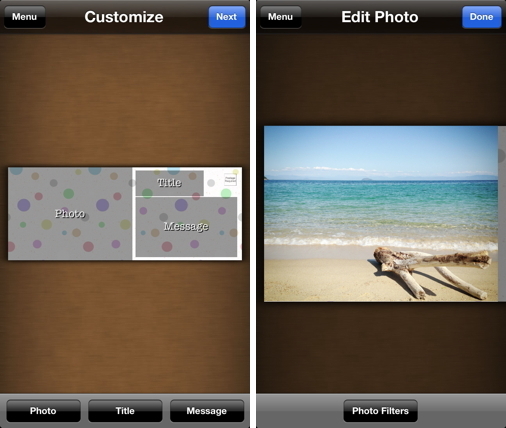 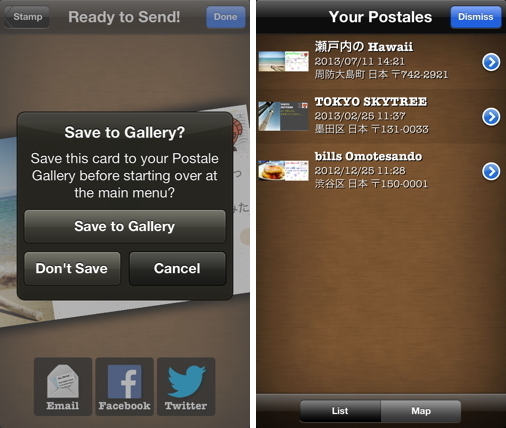 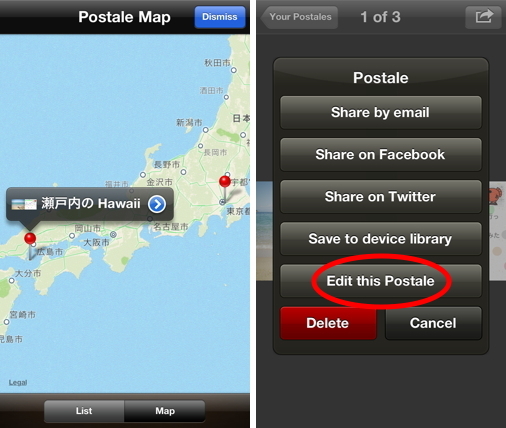 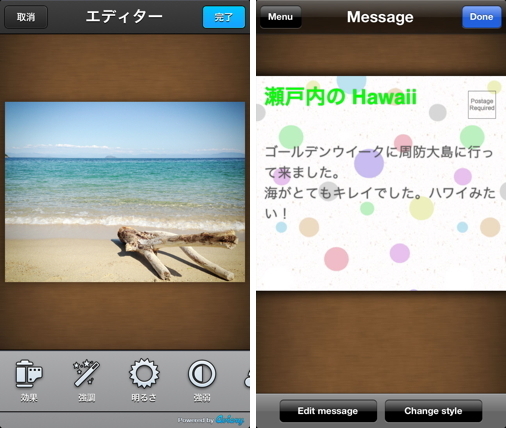 You can now edit the photo, title, and message of newly-created Postales in your gallery. 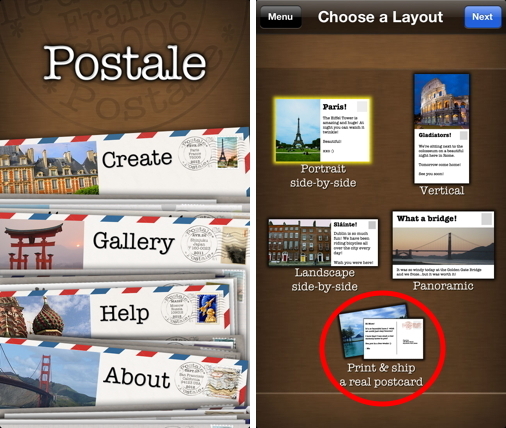 Postales created with older versions of the app aren’t editable.